Mister Rogers arrives with a photograph of the house where he once lived as well as a picture of his current home. Before singing It's You I Like, he talks about how he is the same person regardless of where he lives. Mr. McFeely arrives with his granddaughter Terri and mentions that he has a gift for Mister Rogers back at his house. Mister Rogers joins him on a visit to the McFeely home where Mrs. McFeely is making tacos with their other granddaughter, Chrissie. Sitting in their kitchen, Mister Rogers watches as Mrs. McFeely shows how to make tacos. Mr. McFeely gives Mister Rogers a toy construction set that he bought for him at a flea market. Together they watch a film Mr. McFeely has made about his visit to the flea market. 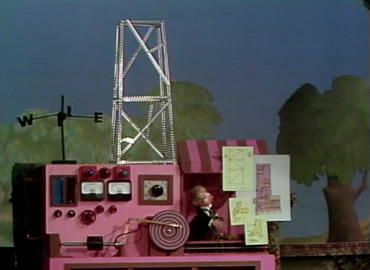 In the Neighborhood of Make-Believe, Corney is adding a tower on to his factory. Mr. McFeely delivers some wood to the factory and learns that Corney is going to use the addition to store his old things so he'll never have to get rid of anything. 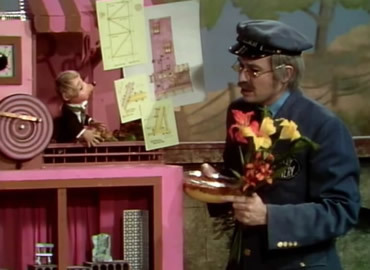 At the castle, Mr. McFeely delivers a tamale pie and flowers but King Friday is more interested in the addition being built at the factory. Corney is called to the castle where King Friday informs him that they will need to work together to come up with a better idea than building such a tall tower. As King Friday talks with Miss Paulificate about what people do with their old things, he announces that a flea market will be held in the Neighborhood of Make-Believe. 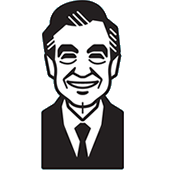 Back at the house, Mister Rogers sings Sometimes People Are Good. The plans that Corney has for his tower expansion were part of the collection shared with the Neighborhood Archive by former Assistant Art Director David Smith.